Ex-Rugby star takes a tour! The six nations is in full swing and although the result didn't go our way at the weekend there is a lot still to play for! On the subject of Rugby, the national sport of Wales we were honoured to take ex professional rugby union player Jason Chandler on a tour earlier in the year. 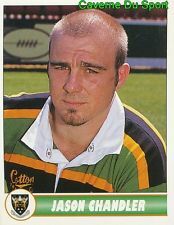 Chandler, born and breed in New Zealand played professionally and has ties to the United Kingdom having played for Northampton in the late 90's. Richard, took Chandler and his family on the Grand Elan Valley tour and couldn't help but boost about how he too could have turned professional if it wasn't for some bad luck and a couple of injuries! The Rugby banter was in full flow as Richard took Chandler and his family around the dams; Craig Goch, Garreg Ddu, Pen-y-Garreg & Cabean Coch, to the chapel and the unfinished dam before stopping for a warm drink and a snack at the visitor centre. As you have the option to meet Richard and the luxury tour bus at the transport hub, in a town or collection from your accommodation Richard picked the family up from the bed and breakfast they were staying at in Builth Wells. "We really enjoyed the tour with Richard, its not just Rugby and Sheep Wales and New Zealand have in common, its also beautiful landscapes and welcoming people. Our friends recommended the tour and we are really glad we booked it, if we are in the area again we will certainly book another tour, perhaps the waterfalls in the Brecon Beacons as I've seen pictures and they look amazing! " said Chandler! Richard added "It was a pleasure to take Jason and his family on a tour of our back yard and show him a glimpse of Mid Wales. It was great to have a chat about his career and his thoughts on Rugby and the Welsh national team". "Hopefully this will be the first in a long line of celebrity bookings!" Richard take on his biggest tour to date!